Gotta love the personalized rejection. Seriously, if you have to get a rejection, this is how you want to get it. I understand the script isn't terribly edgy and probably isn't film fest material, except for the female-centric Moondance Film Festival, where it did well. 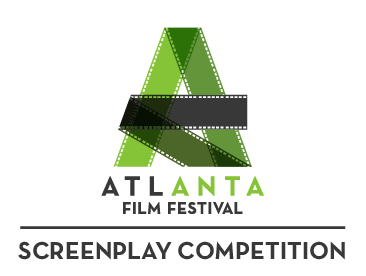 I think the Atlanta Film Festival has a lot of class and I look forward to submitting to them in the future and you should too. Thank you so much for sharing your work, and giving us the opportunity to consider it for the 2019 Atlanta Film Festival Screenplay Competition. We truly appreciate all the time and energy you put into your project and the fact that you chose us to read it. Unfortunately, your screenplay, Chick Stuff with Whitney and Alannah , did not advance in this year’s competition. This was an unprecedented year for us. We received over 1,200 screenplays in total. While we were incredibly excited and honored to have so many writers choose our competition, it also sadly meant that we were faced with more difficult choices than ever before. There were more great scripts than available spots, and the talent was overwhelming. Our dedicated team of programmers and readers reviewed each screenplay. Many members of our reading committee reached out to us throughout the process to tell us how the screenplays they read impressed and touched them. We were personally awed by the boldness in storytelling and immense creativity we saw collectively in this year’s submissions. Please don't let this outcome discourage or deter you in your writing. We know how much time and effort goes into producing a completed work. We want to sincerely thank you for giving us the chance to experience it, and we hope that you will consider sharing your work with us again in the future. Please continue to tell your stories and write your scripts —we can’t wait to see what you create next.